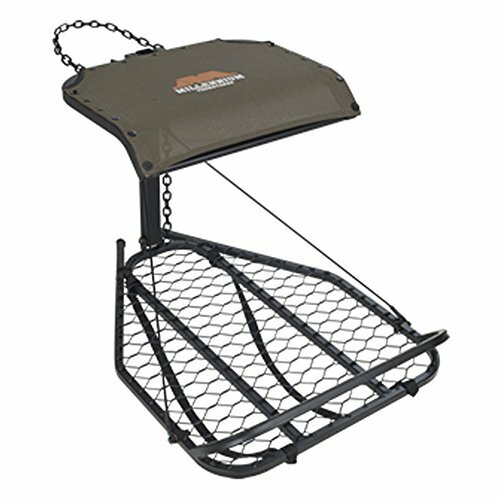 The Millennium M-25 Steel Loc-On Stand provides a deadly combination of comfort and roominess. The M25 offers remarkable maneuverability in any direction, while remaining rock solid under foot. The M25 is the ideal design for setting up a quick ambush in tight cover or for packing into unknown terrain. Capacity: 300-pounds, Weight: 14-pounds, Platform: width 25-inch by depth 30-inch, Seat Size: width 20-inch by depth 17-inch, Seat Height: 17-inch.